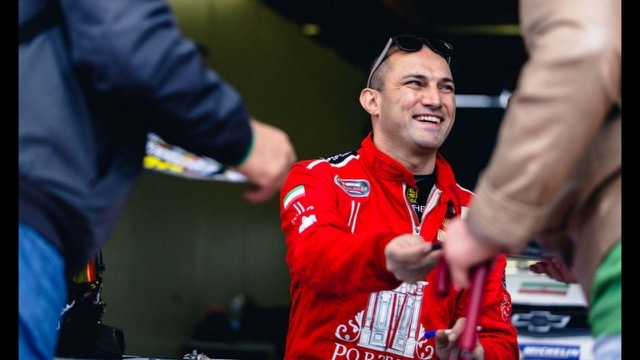 Interesting interview with Sam Taheri Iranian professional Nascar, GT, Prototype and Touring motorsports pilot, Participating in international Nascar, Sprint and 24 hours endurance racing series and ambassador for MicroMoney. This is your first race as an ICO Advisor. Congratulations on accepting this job! Can you tell me why you decided to get involved with crypto-currencies and tokens? Helping helpless people get back on their feet is what being human is all about. As a computer major I have always loved the complex world of crypto-currencies and digital wallets. When I met Anton Dzyatkovsky, the co-founder of MicroMoney in Dubai, and after he patiently explained to me his vision of helping others and how his business is grounded in his passion and determination for success, I was absolutely blown away and decided to join and help as much as I can in the fashion I know the best. You gave this company practically every inch of your car, like you are now on a mission. What has driven you to take such a decision? I wish I had more than just my car to dedicate to this noble cause. I believe there is nothing more important and effective than helping another human being and the help is always more effective when that person needs it the most. I hope the advertising on the car and on the racing suite and fan cards and all of the media exposure can help grow and build a public awareness about the effects and value of MicroMoney, and hopefully it would eventually translate into helping more people. We would like to help save lives from total desperation and oblivion. Helping helpless people get back on their feet is what being human all about. You are an Iranian living in UAE racing American cars in European series. Many would say you are a go-getter living a dream, and you are creating opportunities for yourselves around every corner. Would you be able to achieve all this if you didn’t have credit? Absolutely not, as it has been proven countless times that when there is no credit you simply fail or are unable to grow your skills and passion. I wish there had been MicroMoney back in the day when I started racing to help me get to my bigger goals and dreams faster and better. Being passionate and persistent plays a big role in anyone’s success, but financial credit and backing is key to successful careers, as all sports are costly especially in motorsports category. Every time you race you control your car, not the other way around. What do you think about MicroMoney’s AI being in charge of giving out loans with better results than people and in general – what about Singularity – will computers become smarter than humans? Giving a complex job that requires accuracy and perfect calculation to AI is not a new thing in human history. Machines are much more efficient and smart and powerful than any human brain might be. Giving out a loan should be one of those jobs where human errors or bias or feelings and mistakes don’t involve in the process and the results are based on pure science and facts. If it is done right, it will never fail. Do you think self-driving cars will ever race? A. There are some cars being developed as self-racing cars with A.I. running them. This type of a sport would have its own audience and its own fan base. I am sure the old school V8 with analog carburetor and a manual, humans will always drive H pattern gearbox and racing will continue to have its fans as well. I mean, people used to use horses for transportation, then cars came along and everyone thought the horses will become useless. But they still have their own enthusiasts who love and keep them, breed them and are passionate about them. Who knows maybe one day we will see a NASCAR circuit where humans race A.I.! People who get into ICOs and blockchain get hooked. Do you have any ideas yet about your own ICO? I do. As I mentioned I’m a super nerd myself. That got combined with my passion for racing so I have invented, designed, built and programmed a very high tech system for race cars which any racing driver and team can put to immediate use. It is being patented as we speak. So yes, I am thinking to have my own ICO to take this system from the custom installation stage into manufacturing and mass production. If you were to launch a blockchain project in Iran, what would it be? Motorsports in Iran have many fans and there is a lot of talent, but unfortunately is not accessible to many purely because of the lack of opportunities and because of a very limited funding and credit system. I am doing something about this. I have started a racing academy in Dubai specifically for Iranians and my ultimate goal is to have branches of my academy in every major city in Iran. The academy evaluates, tests and trains professional racing drivers and gives a chance to people who have a talent but have no money. I have always said this sport is not necessarily a rich kid; sport should be more accessible for people with average income. What is the latest thing that you have bought with cryptocurrency? Which wallet do you use? Which exchange? Honestly I haven’t used crypto to buy anything yet. I used to mine bitcoins in my networked computers at home very long time ago, but that was just out of curiosity and fascination. I’m getting much more familiar with the whole thing myself by taking an active role as a MicroMoney advisor and am considering to use it more often. You are a part of a truly international social justice project that looks to even out the scales between the haves and have not’s. What would you like to tell your fans here in Belgium — why should they care about MicroMoney?